Industrial robots are often guided by painted lines or tracks. These tracks calibrate robot position and guide linear motion within a controlled sphere of activity. Optical line sensors require the ability to track a painted line under varied lighting conditions. Extraneous light noise, light modulation and bright sunlight conditions present unique challenges. Accurate operation under a variety of environmental conditions adds to the challenge. 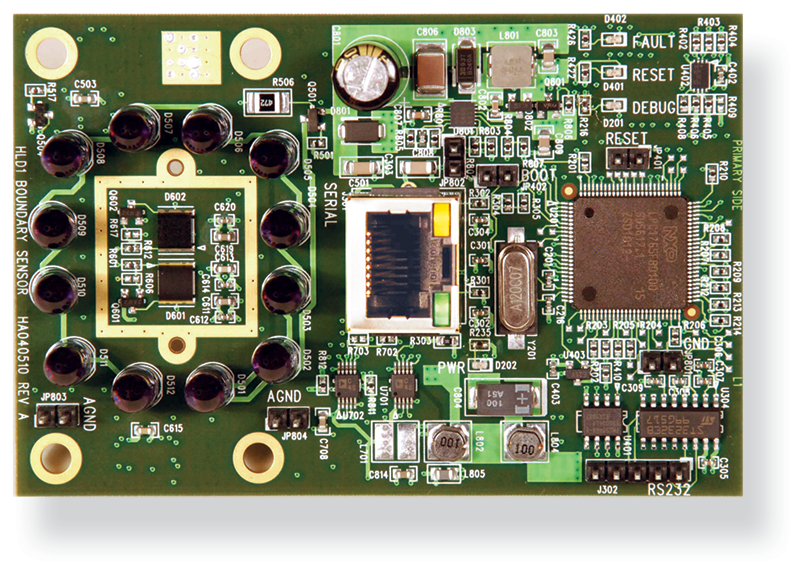 Orchid’s newest line sensor is based on ARM Cortex M3 and Cortex M4 processors. These low cost, low power 32-bit processors are revolutionizing the embedded computer world. Running at high speed, Cortex M3 and Cortex M4 processors are capable of performing both general computing tasks while simultaneously running the millions of floating point calculations needed to perform line sensing algorithms. Once exclusively performed by specialty DSPs, Cortex M3 and Cortex M4 based devices allow high-tech sensor design at low-end price points. Coupled to Orchid’s Cortex-based processor platform is a unique, modulated infrared light source and a precision high-speed infrared PIN diode detector system. Transimpedance amplifiers with analog to digital conversion circuitry comprise the sensing system’s front end. Light source selection, stable power source design and careful circuit board layout are the know-how of successful sensor design. Software, running on our Cortex M3 or Cortex M4, controls the infrared light source and sensor electronics to achieve the desired sensor performance. Orchid’s non-preemptive, multi-tasking operating system provides a platform upon which we deliver fully integrated sensor solutions. The development of custom electronic products for our OEM clients is Orchid’s entire business. The design of custom optical sensor hardware and software with rapid design cycles, demanding technical requirements, and unforgiving sched- ules sets us apart. Call Orchid Technologies today! A basic industrial robot function is the ability to follow a line or a track. 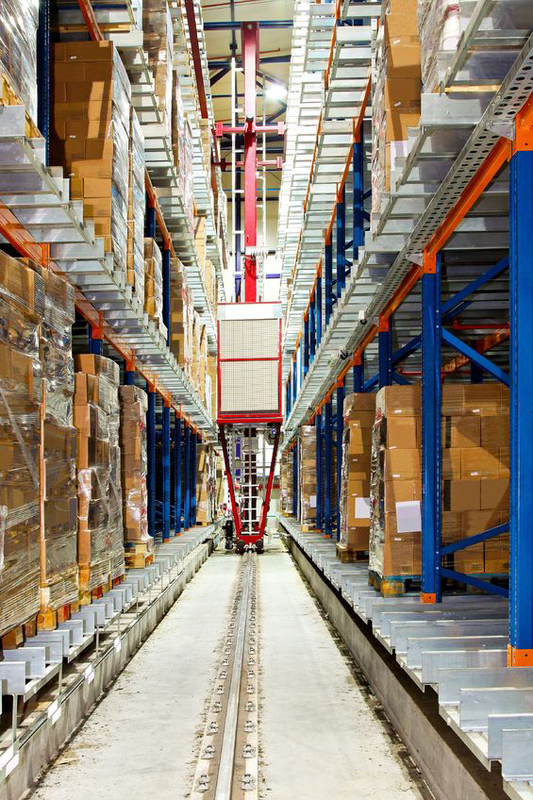 Orchid Technologies line following sensors help industrial robots stay on the straight and narrow. "True to your word – rapid, accurate electronic hardware development. Our custom line sensor worked right from day one."